Vancouver, British Columbia – September 18th, 2018 – Last Friday, Ecofish celebrated the Upper Lillooet Hydro Project commissioning near Pemberton, BC with long-time client, Innergex Renewable Energy (Innergex). 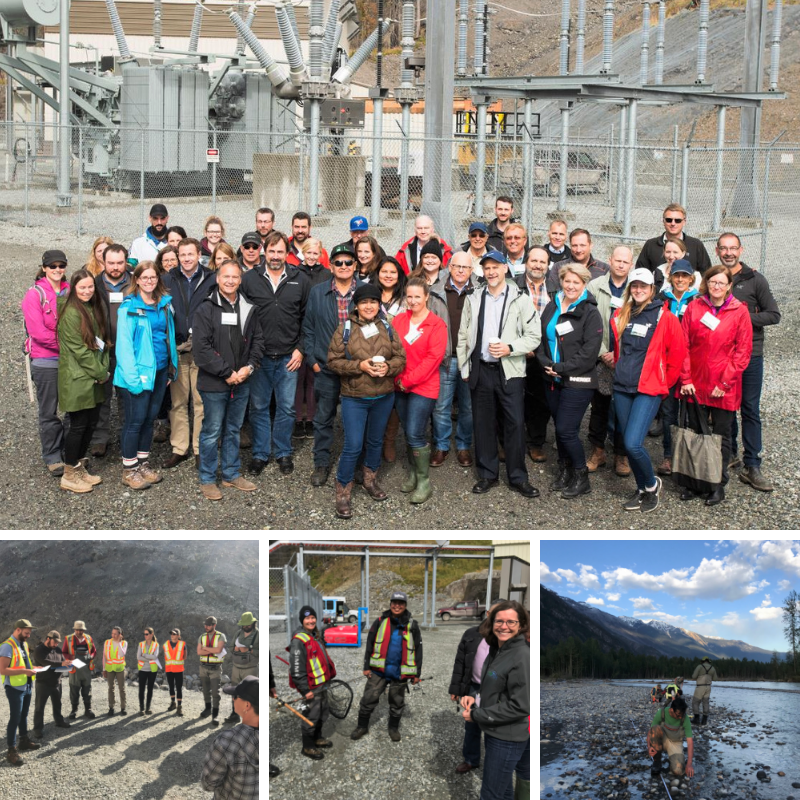 The full day event was a momentous occasion that brought together stakeholders and contractors to celebrate the completion of two run-of river, clean energy generation facilities located in the Pemberton Valley, the first of which, the Upper Lillooet River Hydroelectric facility, boasts a clean energy generating capacity of 81.4 MW. The second facility, Boulder (Pebble) Creek Hydroelectric Facility, generates 25.3 MW. Ecofish was retained by Innergex in 2009 to undertake environmental studies and requirements for the assessment, permitting, construction and commissioning of the ULHP. These efforts culminated in the project receiving an Environmental Assessment Certificate (EAC) in January 2013. Other milestones included securing water licenses, land tenures, a DFO Authorization, and general wildlife measures exemptions necessary for project development. During the construction phase, Ecofish remained close to the project as the Qualified Environmental Professional (QEP). Ecofish Listed as One of Canada’s Fastest-Growing Companies by Canadian Business and Maclean’s!